Prototype: 6 different design German State Railroad Company (DRG) freight cars. 1 type Gltr Dresden Interchange Design high capacity boxcar. 1 type Om Königsberg Interchange Design gondola with a brakeman's cab. 1 type O Nürnberg Association Design gondola for coal. 1 beer refrigerator car with a high mounted brakeman's cab, privately owned car painted and lettered for the brewery Erlanger Erichbräu. 1 type K Wuppertal Association Design gondola with hatches and a brakeman's cab. 1 type Rr Stuttgart stake car, Interchange Design with wood stakes. The cars look as they did in the mid-Thirties. All of the cars include authentic weathering and different car numbers. Model: The Om Königsberg and O Nürnberg gondolas are loaded with real coal. The stake car has a load of wood. All of the cars are authentically weathered and have different car numbers. They are individually packaged. Total length over the buffers approximately 66.5 cm / 26-3/16'. DC wheel set for the beer car E700270, for all of the other cars, per car E700580. The class 56 steam freight locomotive as item number 37516 goes ideally with the 46088 freight car set. 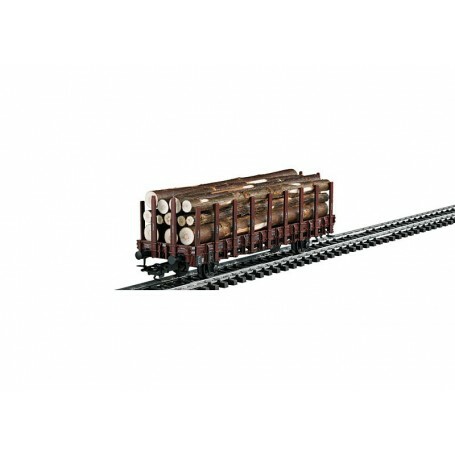 Both items are being offered exclusively for the MHI in the Märklin assortment.